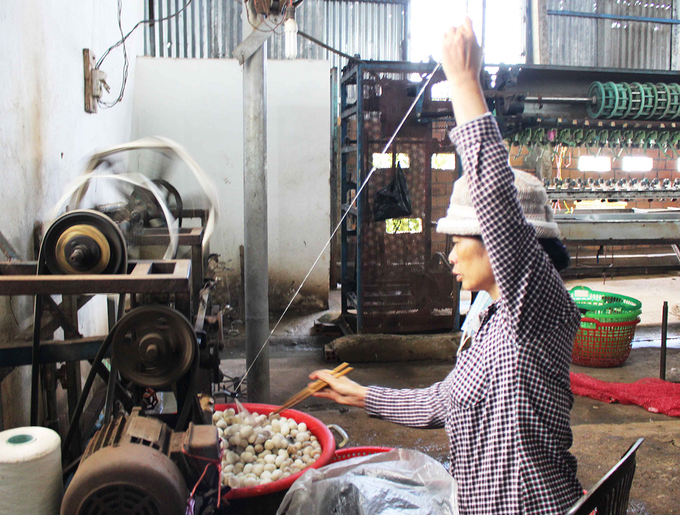 From breeding silkworms and spinning yarn to dyeing and weaving fabric, a silk factory reveals all to visitors. 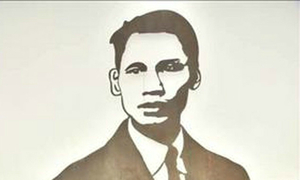 Pham Van Cuong was born and raised in Dong Anh District, Hanoi. His house is situated on the banks of the Red River, where it is easy to find green mulberry, which is suitable for silk reeling and weaving. 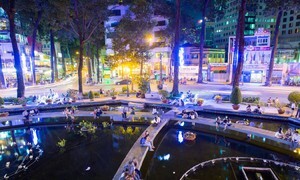 Later, he chose the small town of Nam Ban in the Central Highlands in the hope of expanding his hometown’s traditional craft. 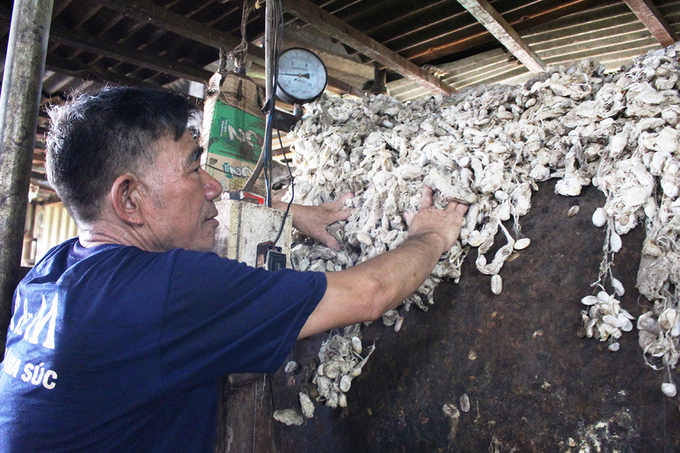 At first, he went to all silk-weaving family businesses in the province to find silkworm cocoons. 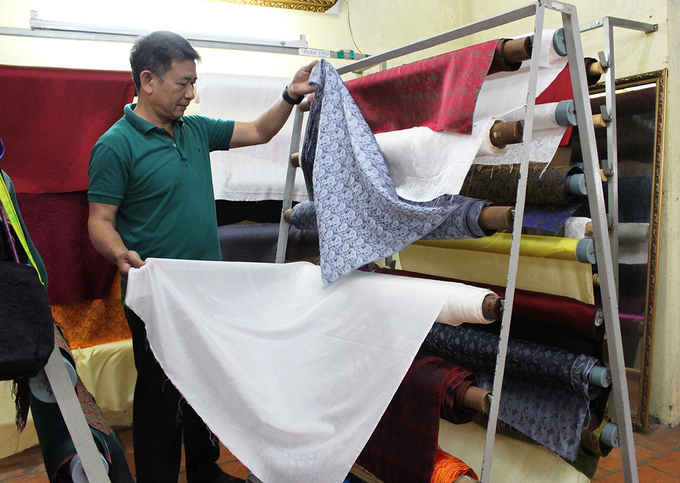 "When I first started, I had to go very far to buy the materials needed to meet the demands of silk spinning factories in Da Lat and HCMC," Cuong said. 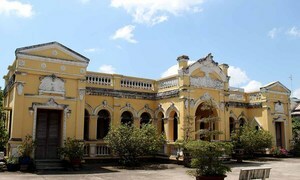 He also paid frequent visits to the famous Van Phuc silk village in Hanoi to learn more about weaving. Situated between the Di Linh Plateau and part of the Lang Biang Plateau, Nam Ban town has favorable climate and soil for growing mulberry trees. This ensures the health of silkworms that are fed exclusively on the leaves of the tree. According to the experienced silk man, Lam Dong silk is exquisite and shimmering. A soft and waxy texture is also a characteristic of the product. 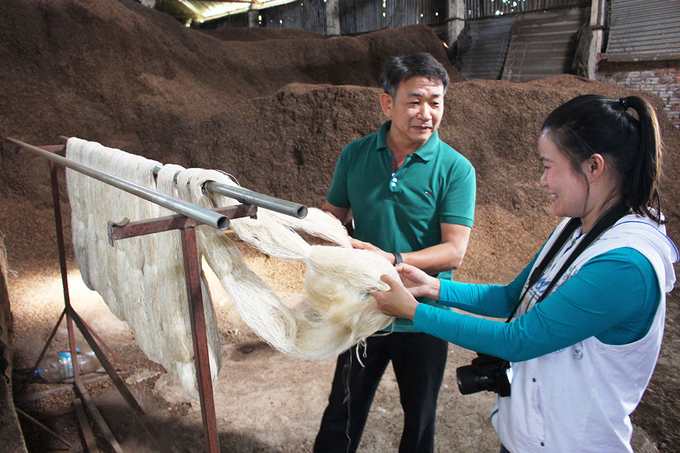 In the north, a cocoon normally produces a silk yarn 300-500 meters long, whereas in Lam Dong they produce 1,000 meters. 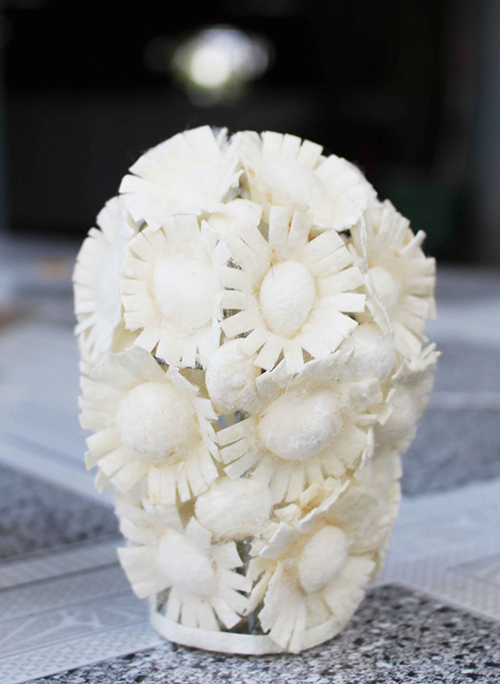 The elaborate production process cannot begin until all the raw materials are collected. 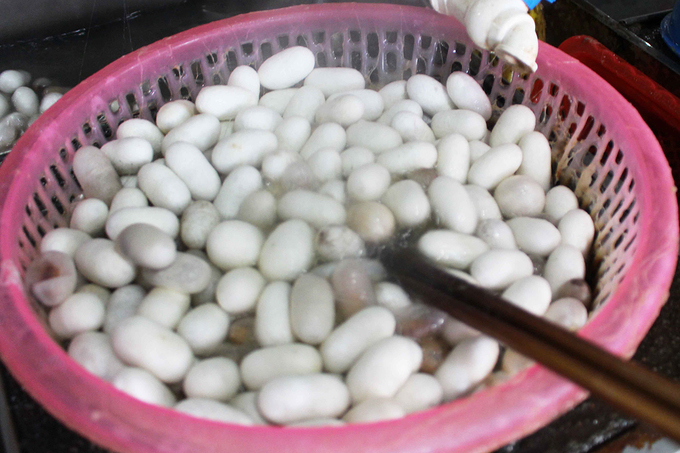 First, the craftsman has to buy silkworms and breed them. Once the silkworm starts to move and toss its head back and forth, it is going to spin its cocoon, signalling to the silk maker that it is time for harvesting. As the silkworm twists its head, it releases secretions from an opening on its jaw. The secretions are a steady stream of liquid silk coated with sericin. When exposed to air, it hardens, and the worm weaves its cocoon with it. 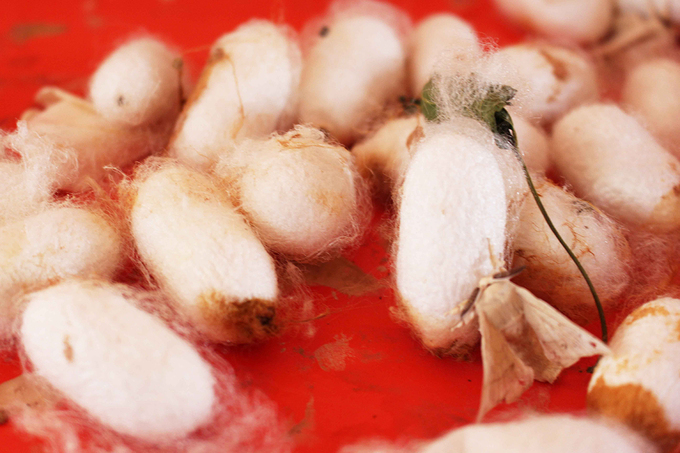 The hardened silk yarn is then unreeled or spun from the cocoons after boiling them. The final stage consists of various steps as workers weave, dye and imprint design on the silk. 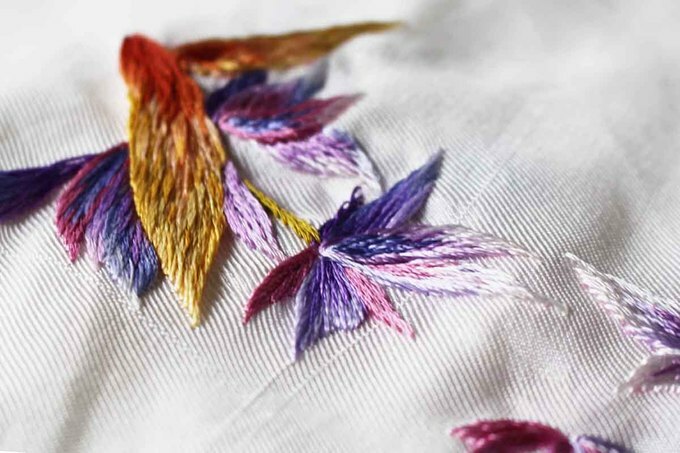 Depending on customers’ orders, intricate embroidery is done on the silk fabric. 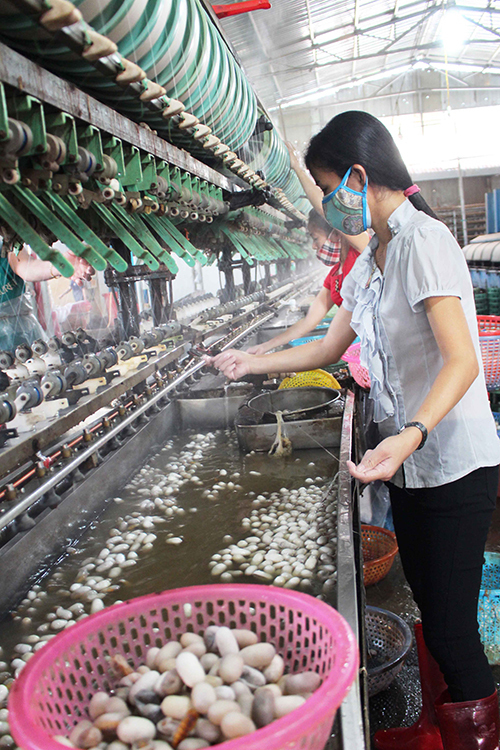 Silk spinning is done manually. The mill owner wants to follow the old method to foster the craft. 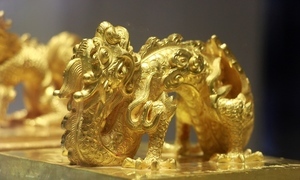 It is also a selling point in tourism, with visitors finding the process fascinating. 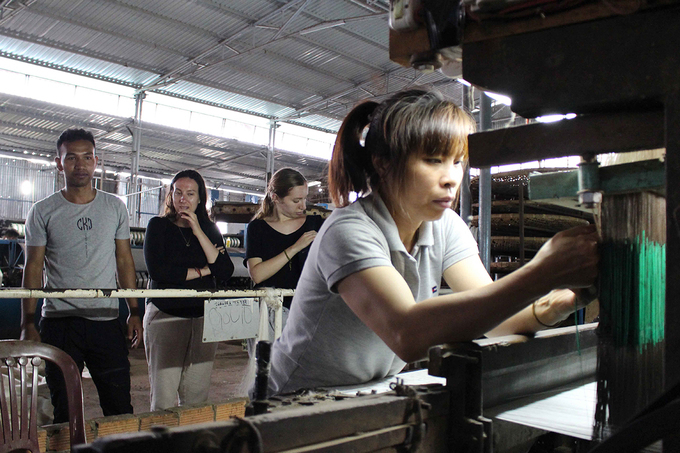 Cuong’s silk spinning factory offers jobs to many locals in the small town of Nam Ban. You can browse around the showroom at the facility or venture inside the plant to take a closer look at the source and production process of silk. 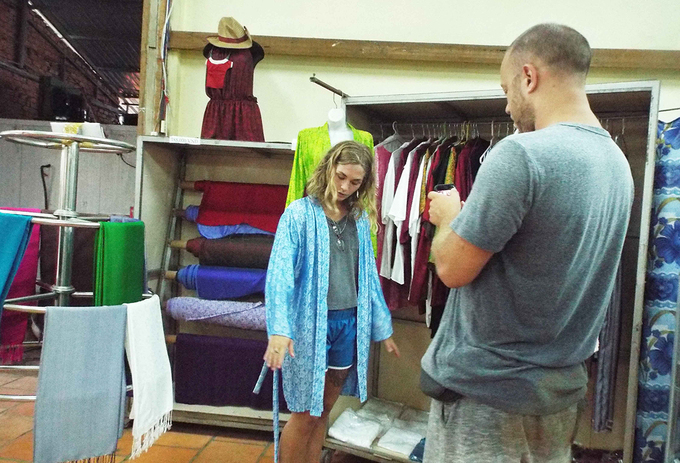 Tourists buy a great number of mulberry silk fabrics, silk scarves and embroidered silk. 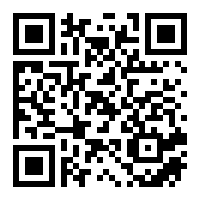 Plain silk fabric, scarves and other gift items are also popular. 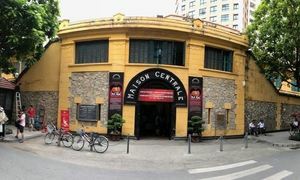 In recent years, Cuong's silk mill has become a must-visit attraction for local and foreign tourists. 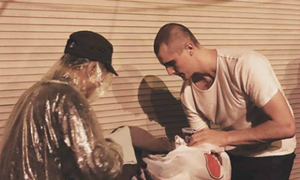 He said around 30,000 people visit the facility every year, mainly foreigners. A well crafted silk souvenir.